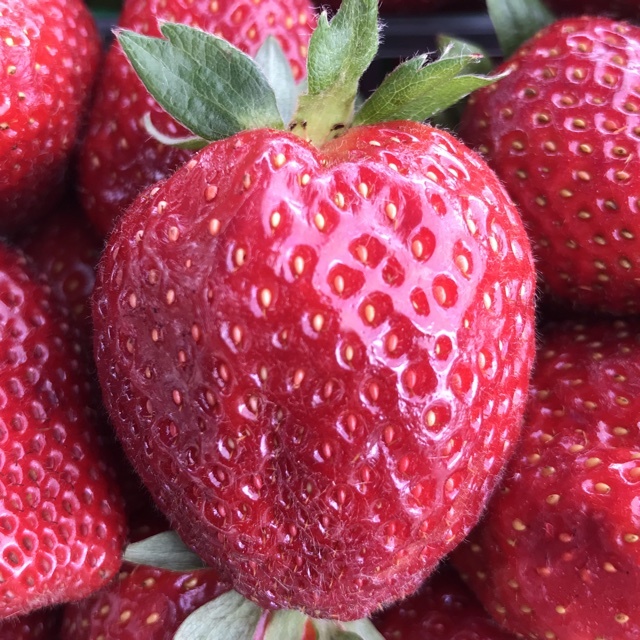 Strawberries have an overall conical heart shape and can vary in size depending upon cultivar and growing conditions. 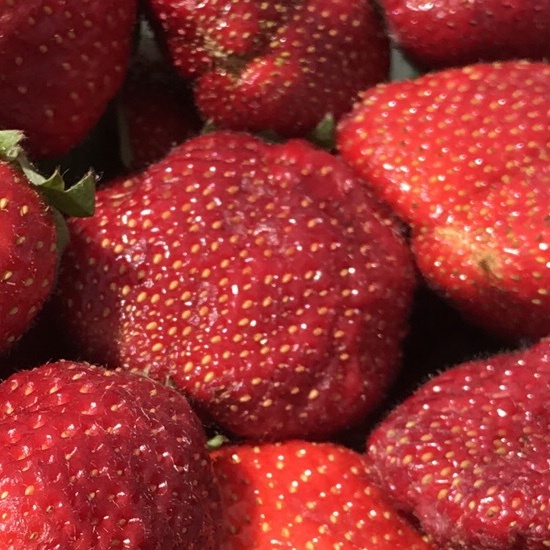 All varieties of Strawberries have seeds on their exterior rather than their interior, which distinguishes them from a berry and a true fruit. They have a bright red sheen when fully ripe and a juicy yet firm texture. While sugar contents can vary from sweet-tart to candy-like syrup, Strawberries maintain a balanced acidity level. 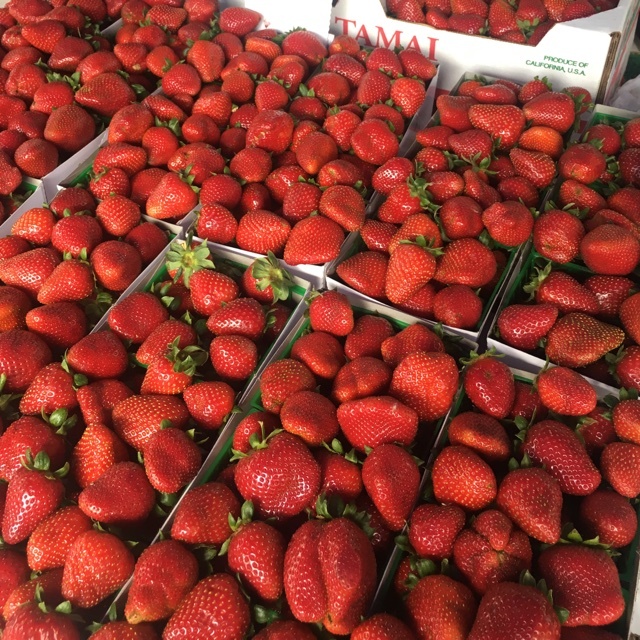 Strawberries are available year-round, with peak season in the spring and summer. Strawberries are botanically known as Fragaria ananassa and are members of the Rosaceae family. They are not actually a true berry, but rather a greatly enlarged stem end of the plant's flower. 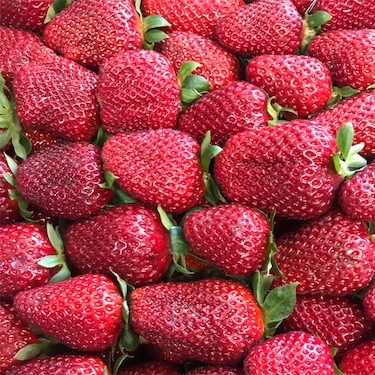 There are hundreds of varieties of strawberries, each displaying unique attributes, including flavor profiles, resistance to disease, size, shape and even coloring. 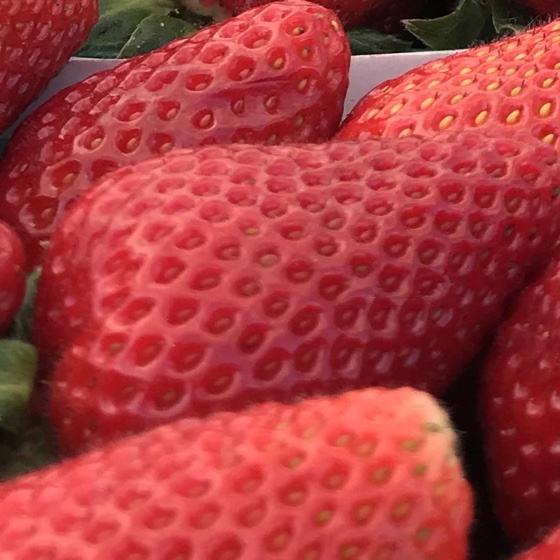 The three main types of modern commercially grown strawberry cultivars are: June-bearing, Everbearing and Day-neutral. 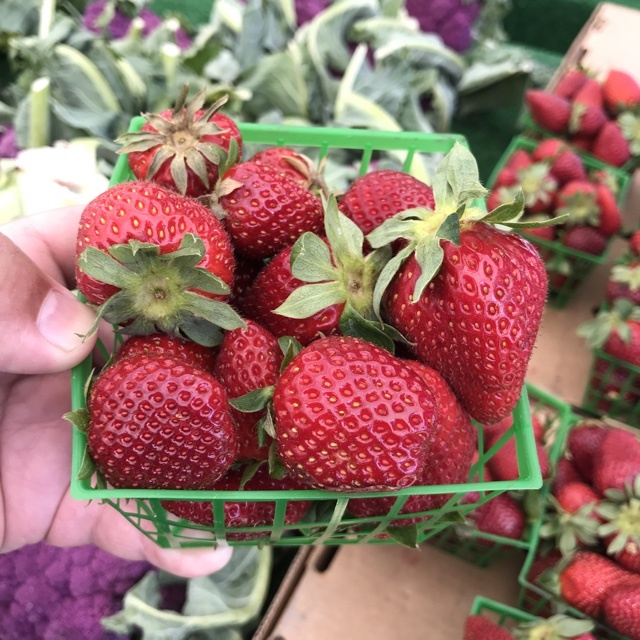 June-bearing strawberries are harvested in June, Everbearing strawberries thrive in hotter climates, while Day-neutral strawberries do not respond to day length, rather they flower and fruit for about five months. 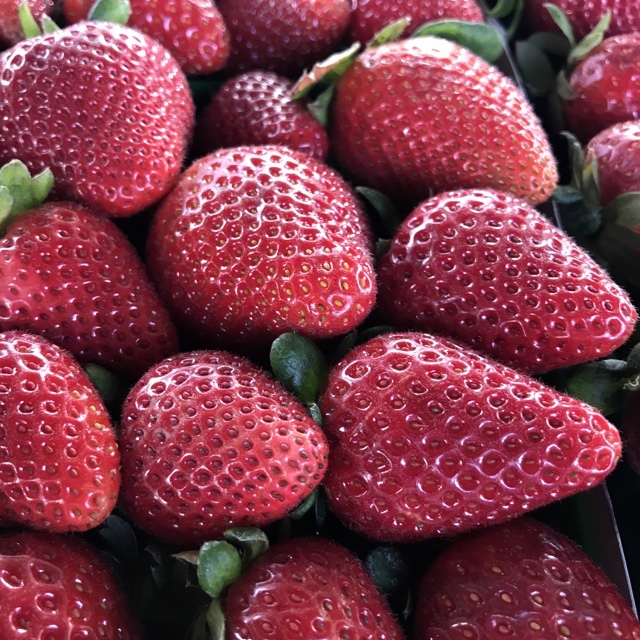 Strawberries are an excellent source of antioxidants, vitamins A, C, E and the B-complex group as well as minerals such as, potassium, manganese, fluorine, copper, iron and iodine. 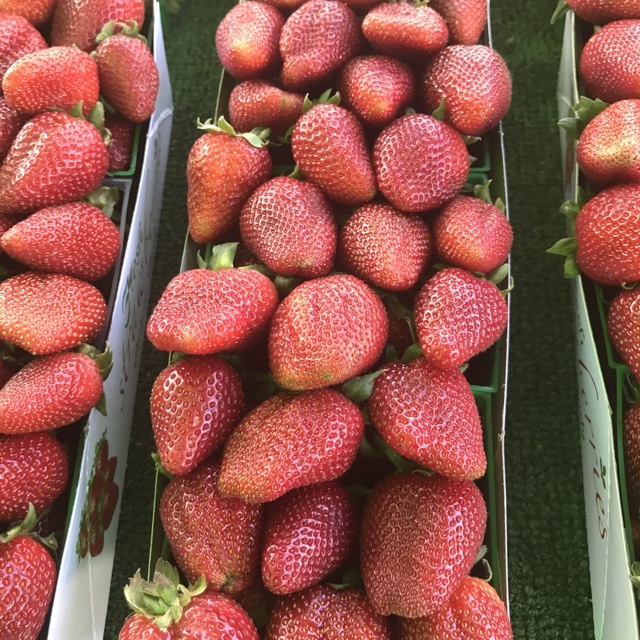 Strawberries are a very versatile fruit appropriate for sweet and savory applications, both cooked and raw. 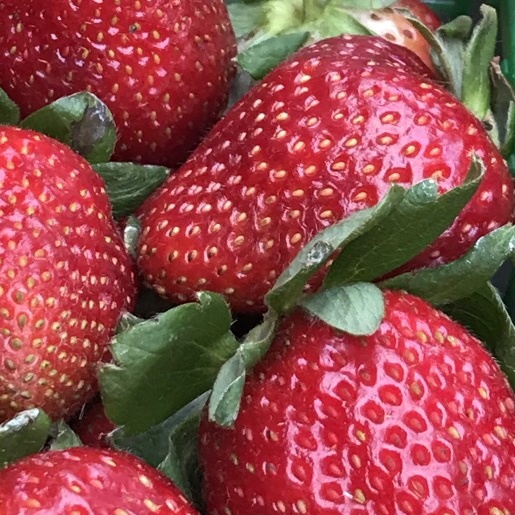 They may be used interchangeably with most other berries, but often times have a higher moisture content and therefore may require alterations in some recipes. Strawberry pie filling, for instance, usually calls for a thickener such as cornstarch, or that the extra juice be removed or reduced to a syrup. Use Strawberries in green salads or in jam, jellies and other confections. Cook them down into a compote or syrup for drizzling over ice cream and cheesecake or added into beverages and cocktails. Complimentary pairings include, other berries, citrus, rhubarb, melon, leafy herbs, vanilla, cinnamon, sugar, almonds, sour cream, ricotta, mascarpone, yogurt, black pepper, balsamic vinegar, amaretto, Champagne, Kirsch and Grand Marnier. 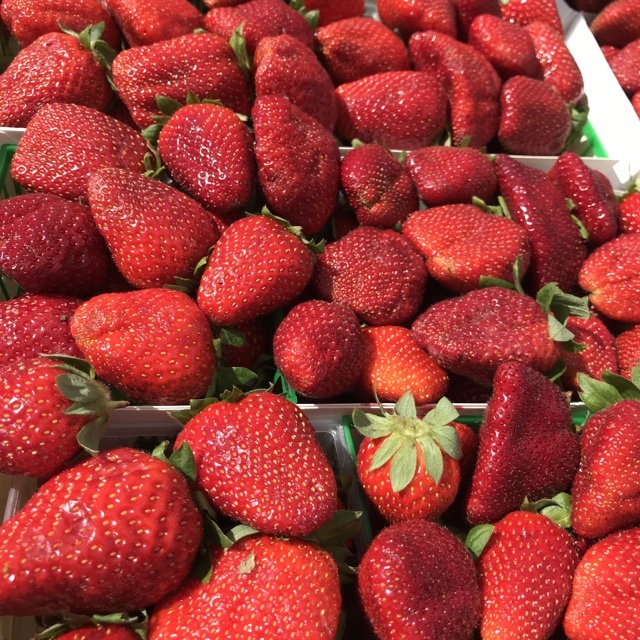 There are over a hundred species of Strawberries that are found growing in temperate regions all around the world. 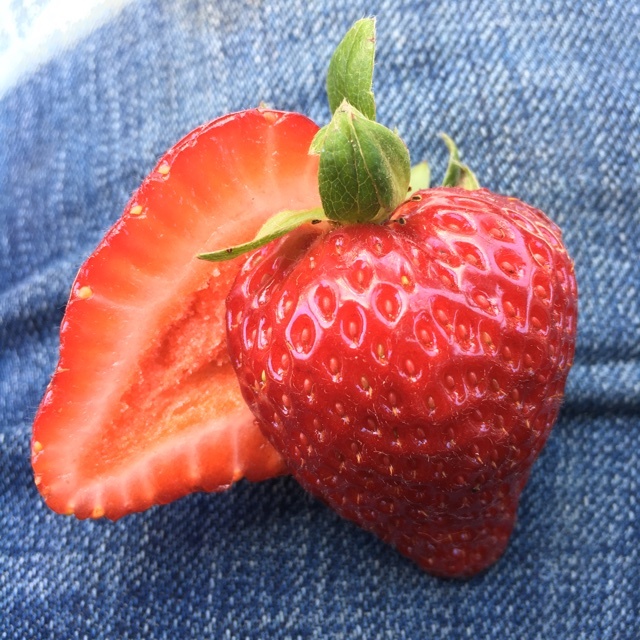 Yet, it was the union of two unique species native to the Americas that give us the standard Strawberry we know today. Fragaria virginiana, native to North America, was taken from the New World to France in 1624. Fragaria chiloensis, a wild species of Strawberry native to Chile, was also taken to France in 1712. 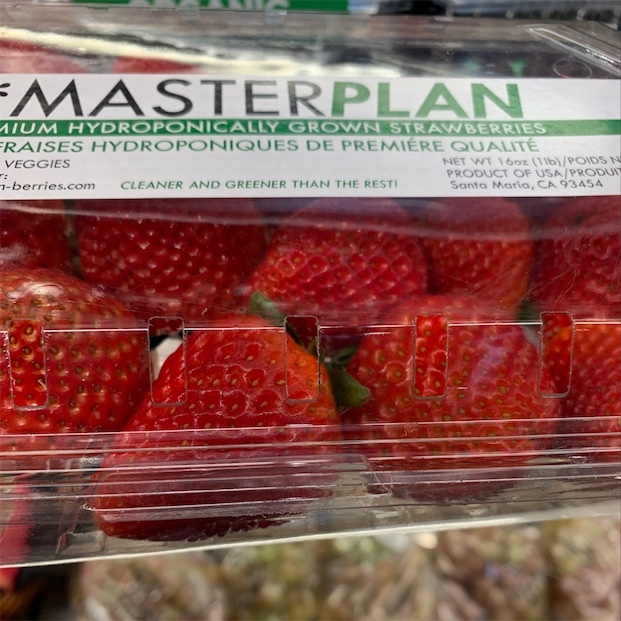 The two were widely grown in European gardens and a chance hybridization resulted in the modern day Strawberry now cultivated world-wide, Fragaria ananassa. Recipes that include Strawberries. One is easiest, three is harder. 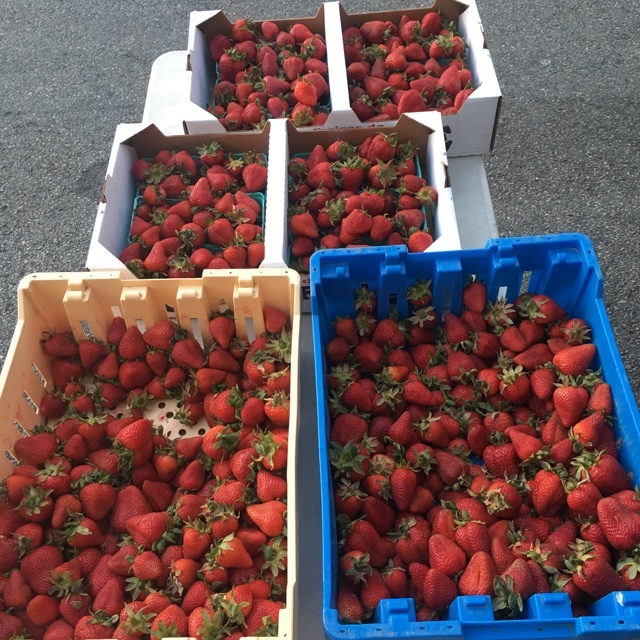 People have shared Strawberries using the Specialty Produce app for iPhone and Android. Sharer's comments : Season is just popping! 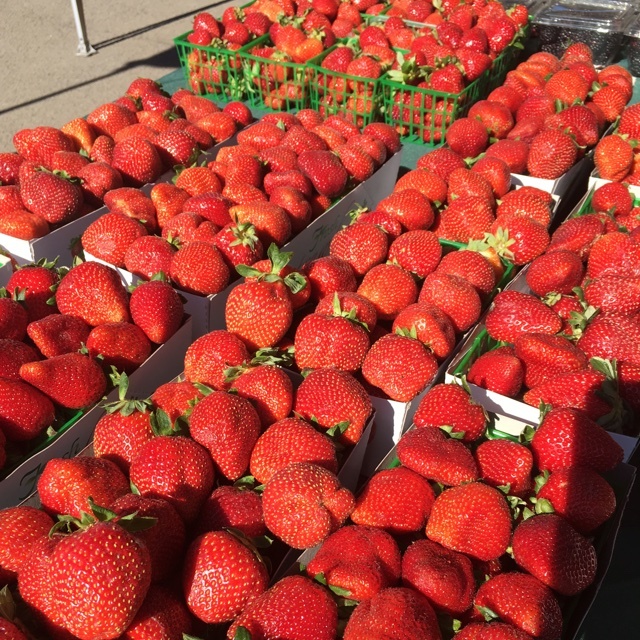 Sharer's comments : Strawberries spotted at Farmers Market. 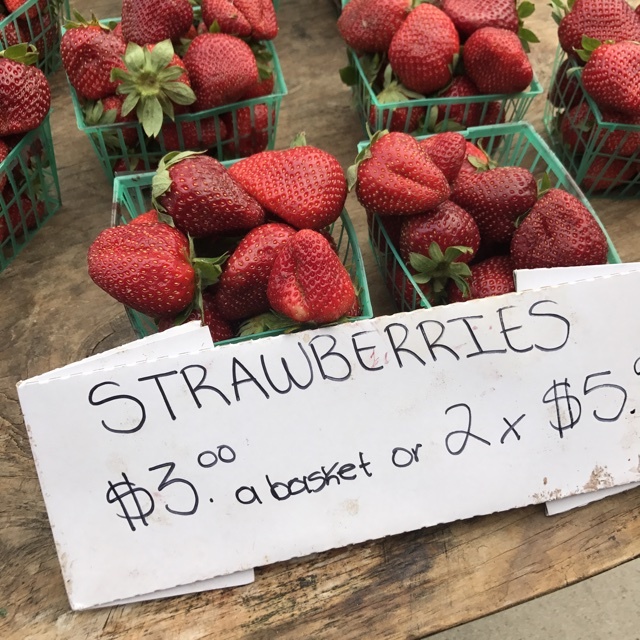 Sharer's comments : Strawberries spotted at Burr's Berry Farm. Pick your own. 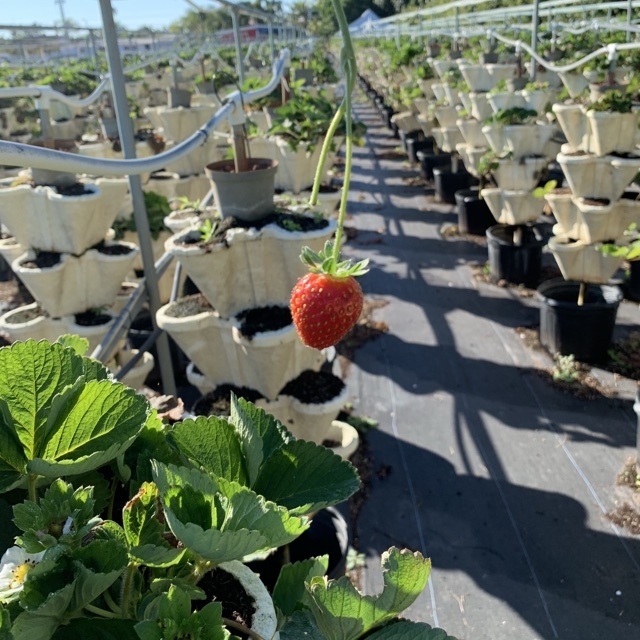 Sharer's comments : Strawberries spotted at Knaus Berry Farm. Taste like they're rolled in sugar! 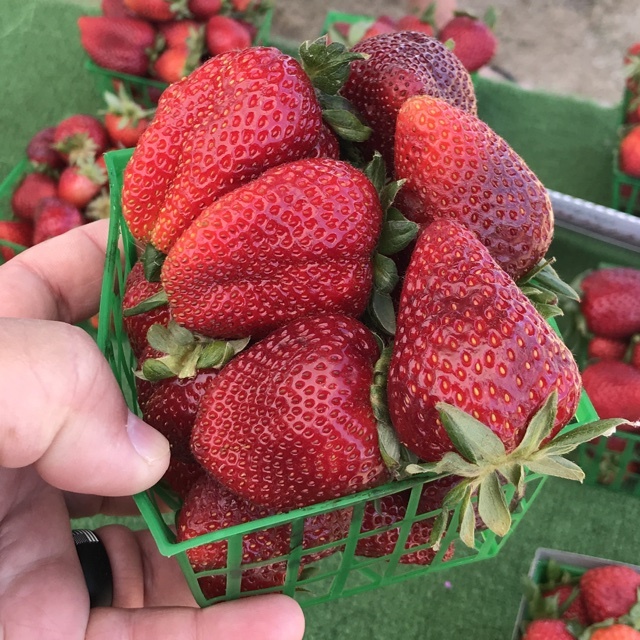 Sharer's comments : Strawberries spotted at Scripps Ranch Farmer's Market. 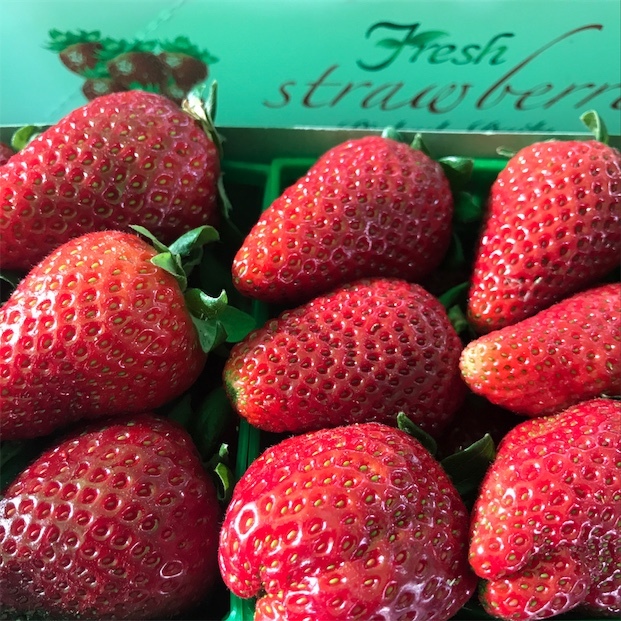 Sharer's comments : Strawberries spotted at Denny Regrade Amazon Market. Just in this week - Day 3 and right on schedule!! 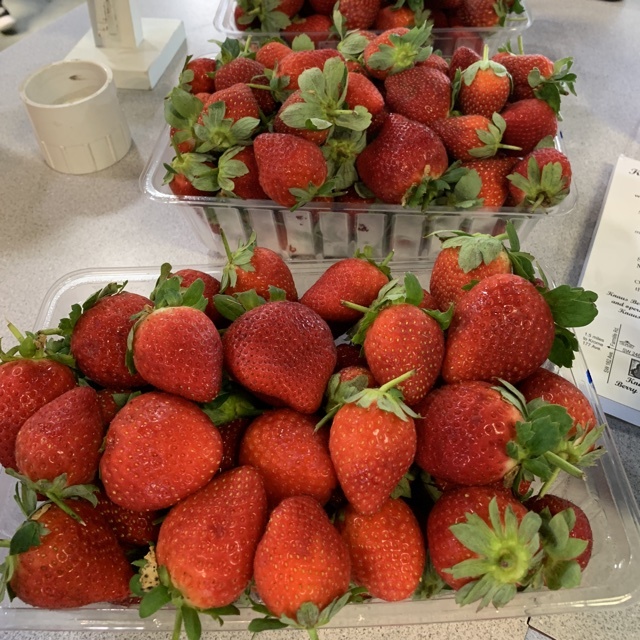 Local strawberries from Sidhu Farms in Puyallup, WA. 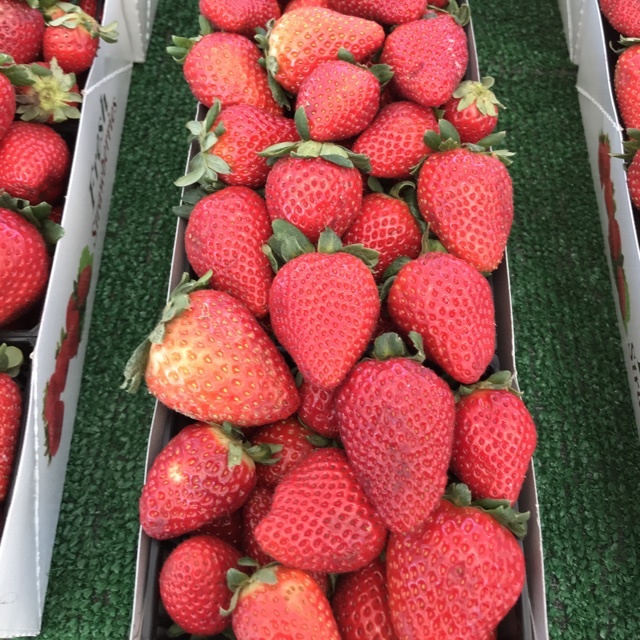 Sharer's comments : Strawberries spotted at Rancho Penasquitos Farmers Market. 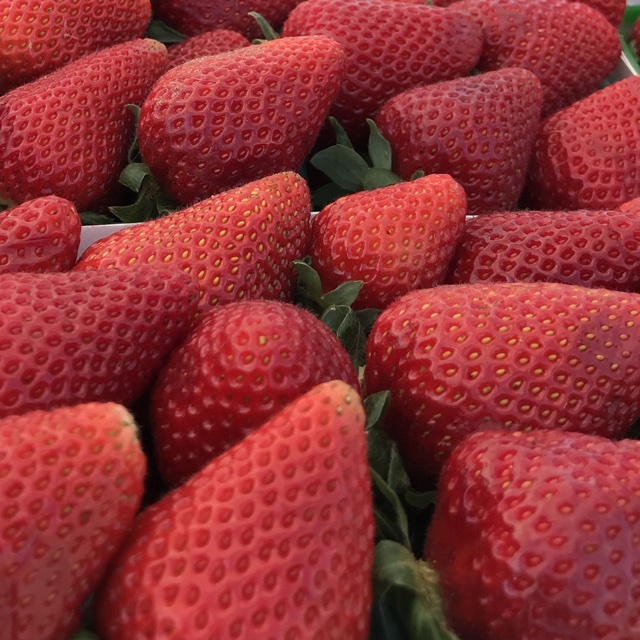 Sharer's comments : Strawberries spotted at Del Mar Farmers Market. 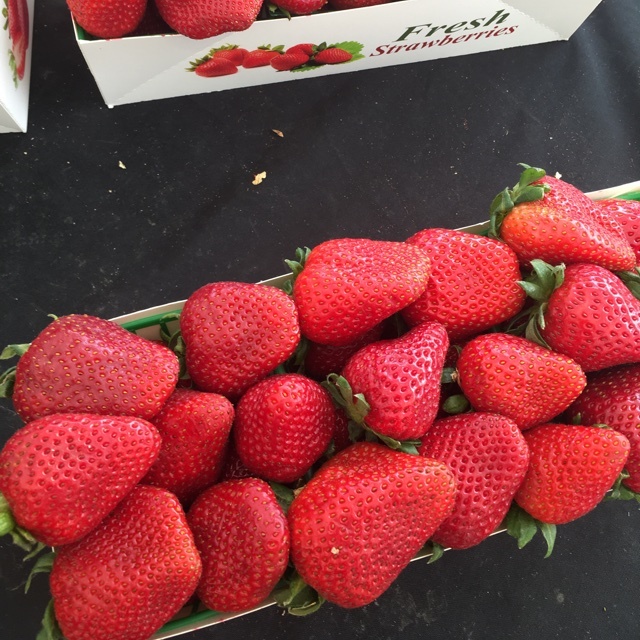 Sharer's comments : Strawberries spotted at Rancho Penasquitos Certified Farmers Market. 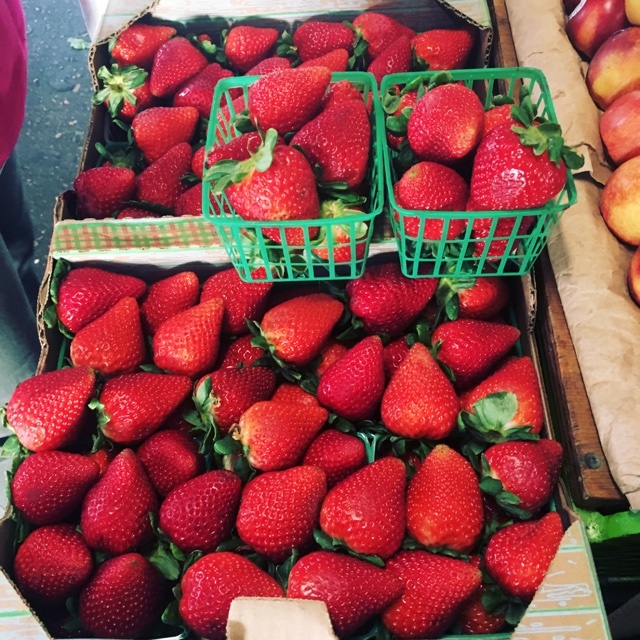 Sharer's comments : Strawberries spotted at Little Italy Mercato. 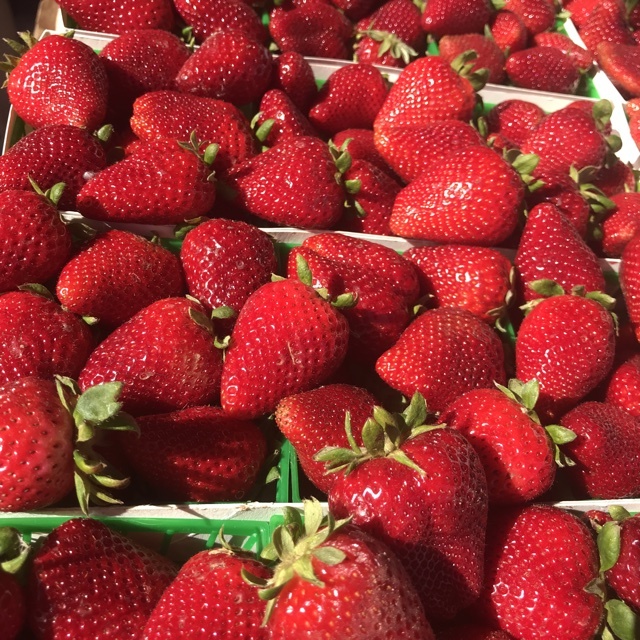 Sharer's comments : Strawberries spotted at Vista Farmers Market. 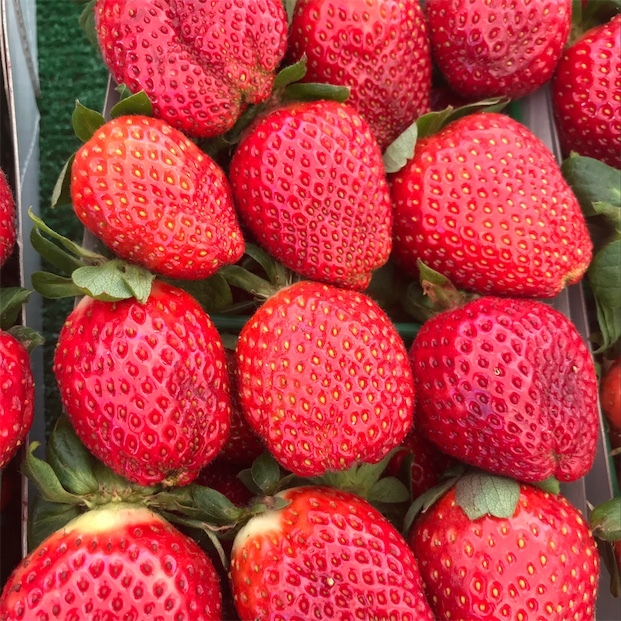 Sharer's comments : Strawberries spotted at Culver City Farmers Market. Super sweet and fragrant. 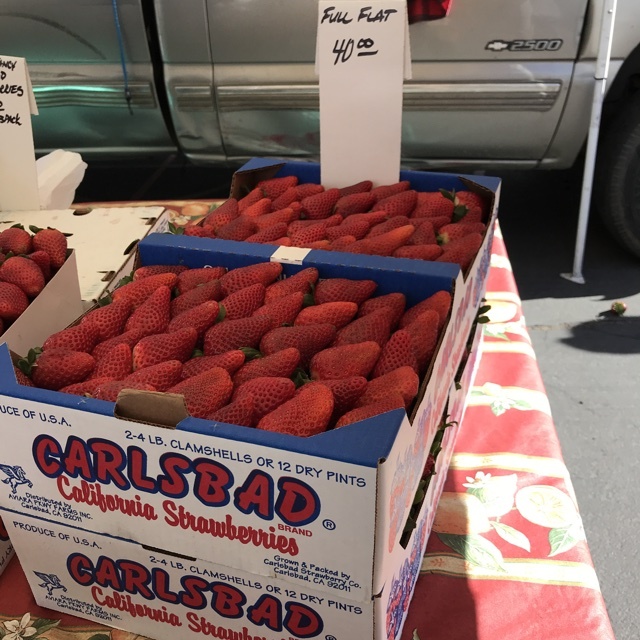 Sharer's comments : Strawberries spotted at Leucadia Farmer's Market. 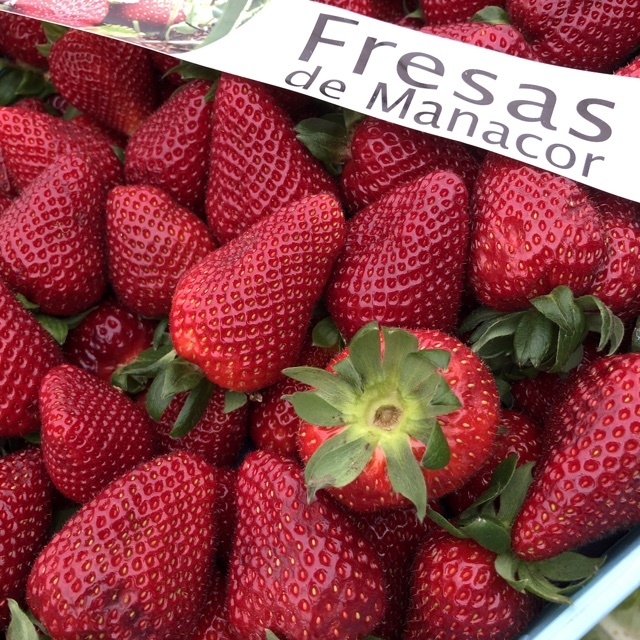 Sharer's comments : Strawberries spotted at Mercat d'Alcúdia. 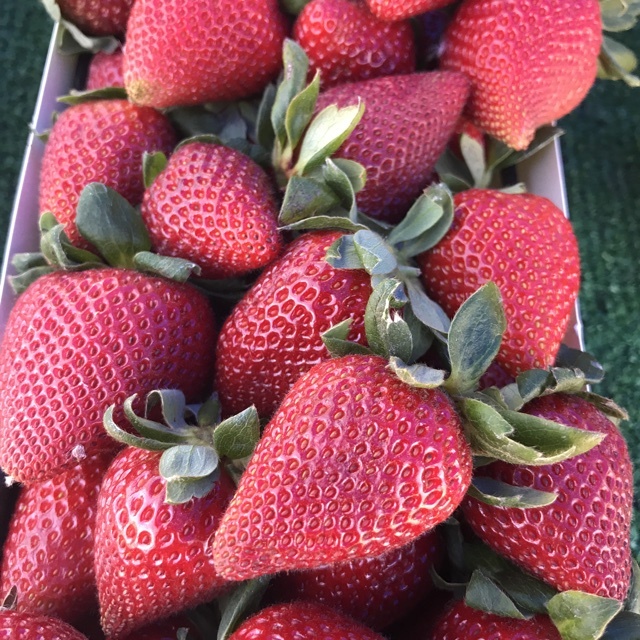 Sharer's comments : Strawberries spotted at Poway Farmers Market. 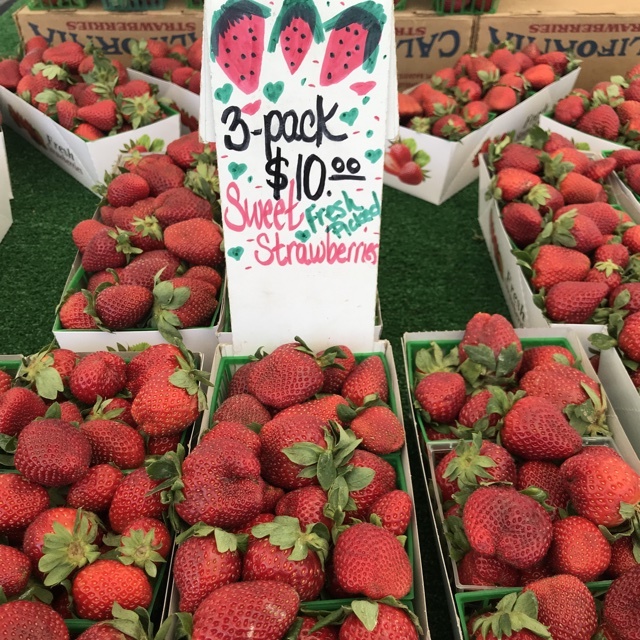 Sharer's comments : Strawberries spotted at Hollywood Farmer's Market. 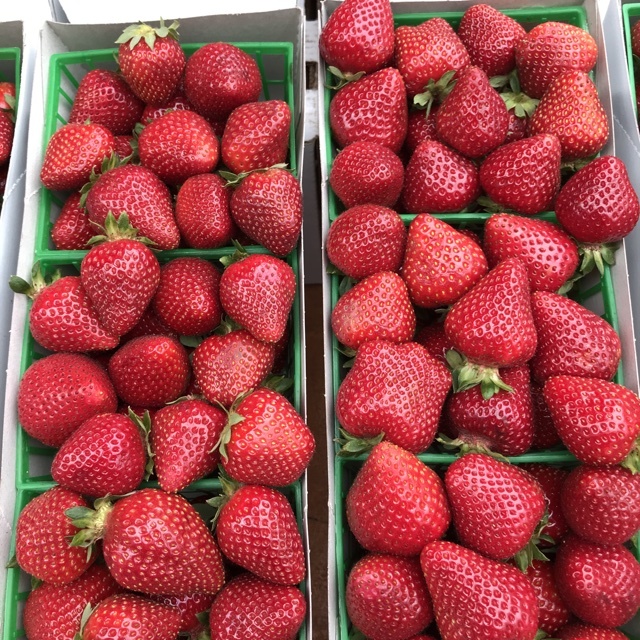 Sharer's comments : Strawberries spotted at Brentwood Farmers' Market. Really good, not too sweet! 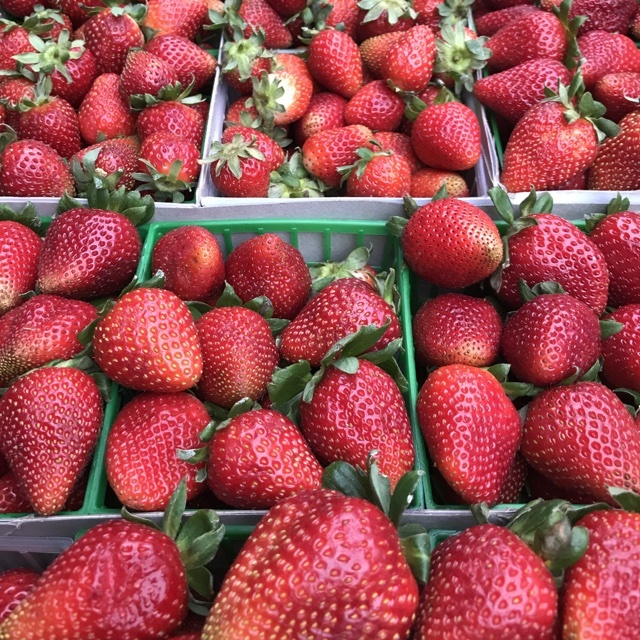 Sharer's comments : Strawberries spotted at Santa Monica Farmers Market. 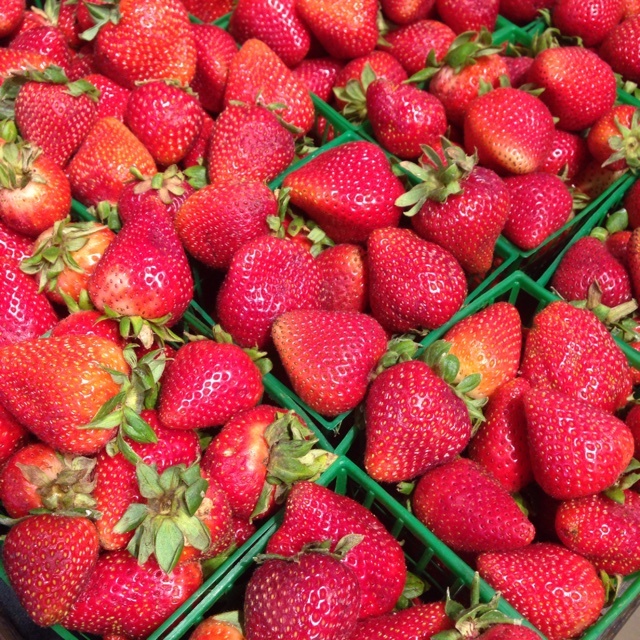 Sharer's comments : Strawberries spotted at First Alternative Natural Foods Co-Op. 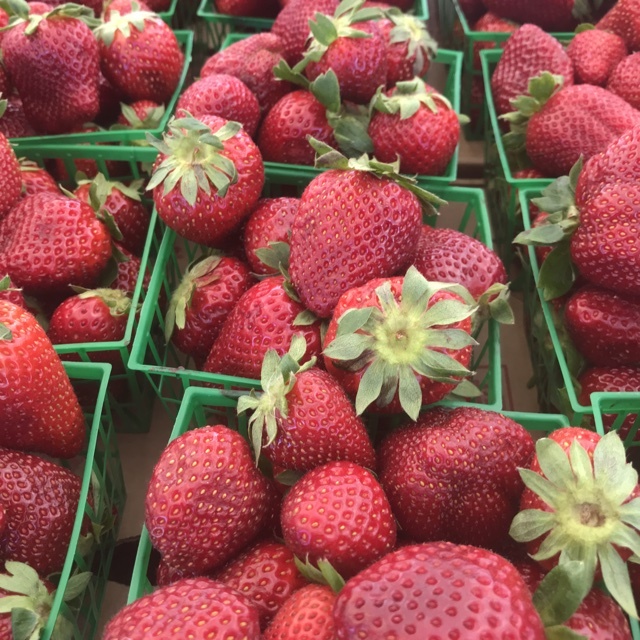 Sharer's comments : Strawberries spotted at Hillcrest Farmers Market. 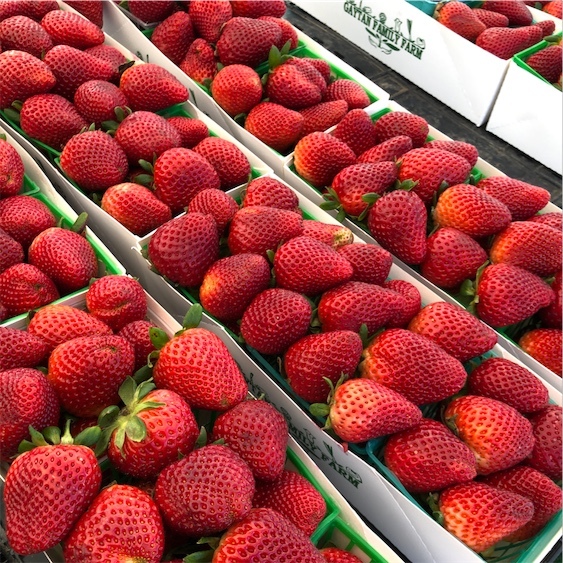 Sharer's comments : Strawberries spotted at La Jolla Open Aire Market. Amazing! 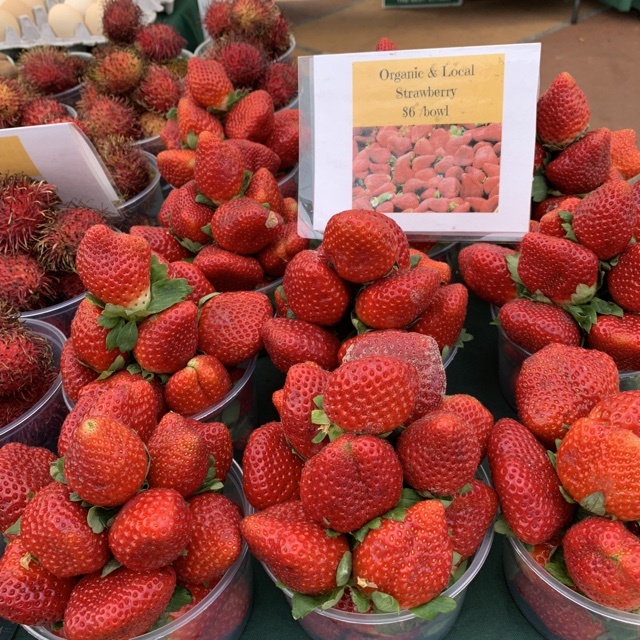 Sharer's comments : Strawberries spotted at Rancho Santa Fe Farmers Market. 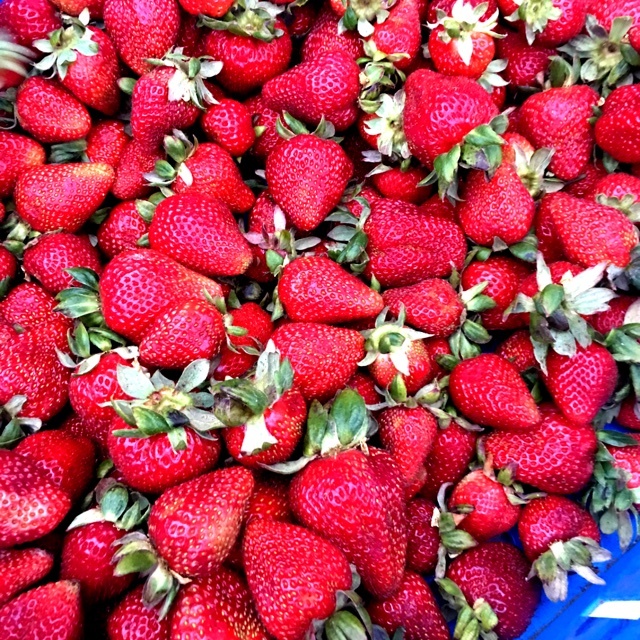 Sharer's comments : Strawberries spotted at Mercado Hidalgo. 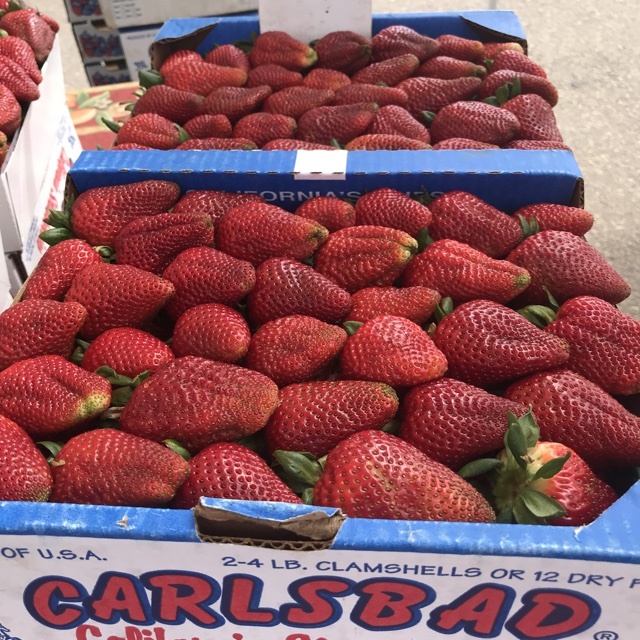 Sharer's comments : Strawberries spotted at Chino's Vegetable Shop. 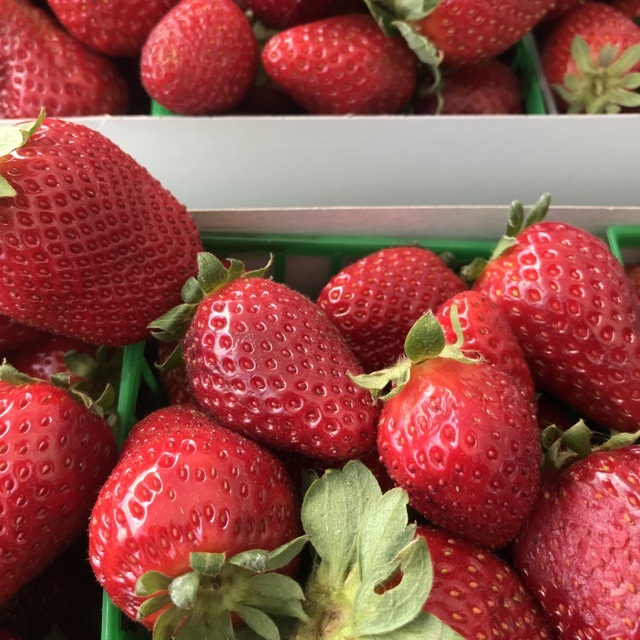 Sharer's comments : Strawberries spotted at PCC Natural Markets. 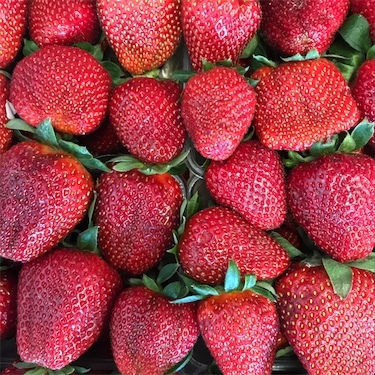 Organic open pint strawberries from Coke Farms in CA. Exceptionally moist, sweet, and great frozen too! 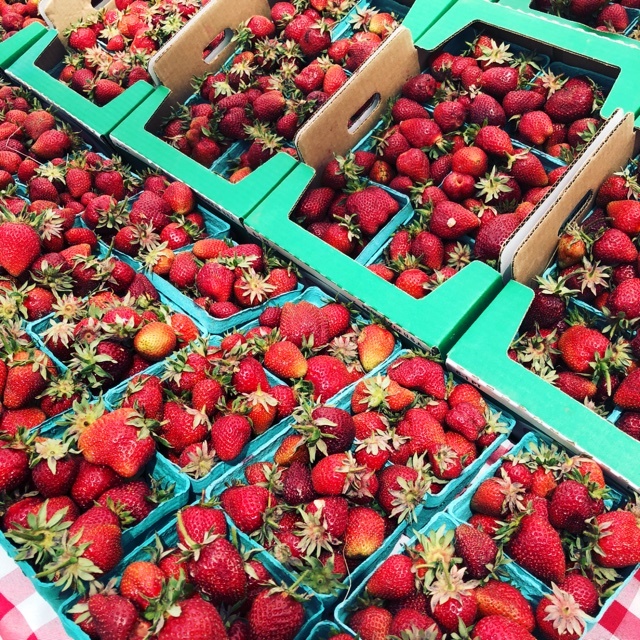 Sharer's comments : Strawberries spotted at Ocean Beach Farmers Market.